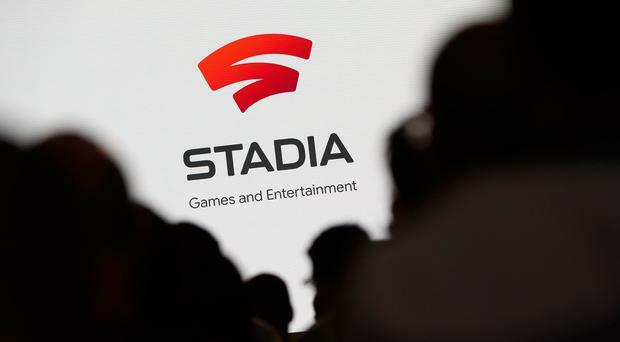 Google's new online Stadia service will skip 500,000 rural Irish households as a lack of broadband begins to bite. Psychiatrists are treating teenagers for gaming addiction including some who are adjusting their body clocks to play against people in different time-zones. A couple of years ago, the Nokia 'brick' - a 90s rite of passage if ever there was one - was fated for a life in kitschy museums. Parents and online gamers are being warned about the risk of fraudsters preying on people who play Fortnite. The Tamagotchi is making a comeback in November. Meet Handle, the latest robot from technology company Boston Dynamics that even strikes fear in the firm's CEO. Parents take note, your child's video game habit could spell a successful future if these Irish twins are anything to go by. Super Mario Run is going to drop any time now. And it will bring with it a new era in the iPhone and Nintendo: the first time that the two of them have worked together. Google has unveiled two new smartphones to compete directly with the iPhone 7. A team of Irish academics have developed the only brain-training game scientifically proven to make players smarter. WhatsApp’s latest update allows users to stay in touch with friends even when they haven’t got their smartphone to hand. Simple rules and a colourful appearance have earned digital games such as Candy Crush fans of all ages worldwide. Battleborn's launch trailer has landed, highlighting the roster of characters on offer and the value of another proof read. LitterGram founder Danny Lucas has posted a video pleading with Facebook founder Mark Zuckerberg over its request for the app to change its name. A clever, and surprisingly simple, iPhone trick has been discovered that lets you change the appearance of folder icons. Content ID disputes currently impact YouTubers because they can't earn revenue on videos during this time, a system that YouTube is looking to change. UK studio Lionhead Studios will close its doors today for the final time after Microsoft failed to find a prospective buyer. A sharp-witted prankster has put Yahoo up for sale on Craigslist, though you'll have to part with $8 billion to get your hands on it. Snapchat users are watching 10 billion videos every day. That figure is reported by Bloomberg, but also confirmed by Snapchat. The upcoming Tomb Raider movie has cast Alicia Vikander in the lead role of Lara Croft. The film doesn't have a release date yet. Airbnb has removed thousands of apartment listings in Berlin ahead of a city crackdown on holiday apartments from May 1st. A judge has ruled in favour of the FTC over the issue of in-app purchases, which could see Amazon shelling out for purchases made by kids. From Software is working on a brand new IP, according to company president and Dark Souls director Hidetaka Miyazaki. Uncharted 4 is PlayStation's largest ever software investment. Its marketing plan has been revealed, showcasing that it's going to be everywhere. WhatsApp is being tipped to add voicemail and call back functionality to the app in the near future, according to leaked screenshots. Snapchat is being sued by a driver who claims that its speed filter facilitated her excessive speed, which resulted in a high-speed accident. HTC's upcoming Nexus devices have been codenamed and benchmarked, giving us some idea as to what to expect from these handsets. A listing for Call of Duty: Modern Warfare Trilogy was spotted on Amazon, though the listing has since been removed.